The city of Chicago has filed a civil complaint against "Empire" actor Jussie Smollett, seeking damages stemming from the entertainer's complaint about an alleged attack police say he orchestrated, the city's law department said Thursday. The department filed the civil complaint "that pursues the full measure of damages allowed under the false statements ordinance," and follows Smollett's refusal to repay the city for police overtime in the investigation, department spokesman Bill McCaffrey said in a statement. 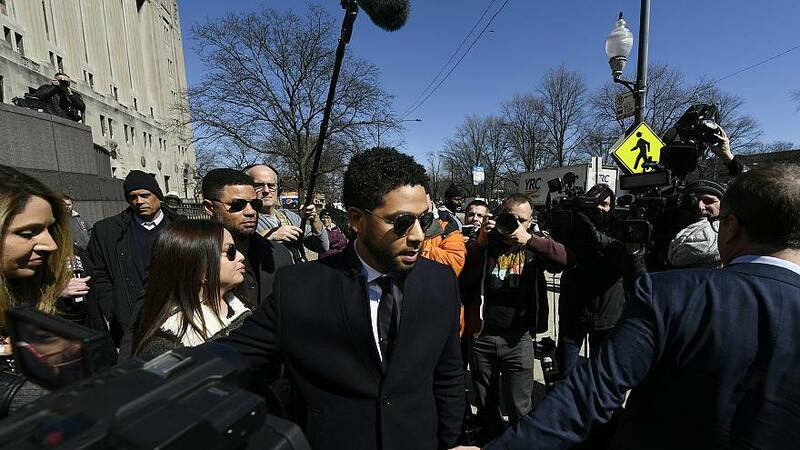 Smollett, 36, was indicted by a grand jury after authorities said he made up a claim in late January that he was attacked by two men who hurled racist and anti-gay slurs at him. Prosecutors dropped all charges against Smollett in March. The controversial decision was not an exoneration, prosecutors have said, and the deal involved two days of community service and forfeiture of a $10,000 bond he paid to the city. Smollett said after the charges were dropped that he had been "truthful" since the beginning of the case. City officials announced in late March that they wanted Smollett to pay about $130,000 and threatened legal action if he refused. Smollett's attorney, Mark Geragos wrote in a letterearlier this month that Smollett would not be "intimidated" into paying the amount. After Mayor Rahm Emanuel demanded the actor repay the city, Smollett's attorneys said the mayor and the police department owe Smollett an apology "for dragging an innocent man's character through the mud," and that "Jussie has paid enough." The civil complaint says that despite Smollett's claim of being attacked, he "knew his attackers and orchestrated the purported attack himself," and that the city suffered significant costs. The complaint says Chicago police logged more than 1,800 overtime hours, which cost the city $130,106.15 in overtime pay. It also says Smollett should be liable for a $1,000 civil penalty for each allegedly false statement he made, and it asks the court to "Order Defendant to pay the City's response costs in an amount to be proven at trial."